Unique shops, home cooking, and natural beauty are all located in Brown County, Indiana, which is where the torch will start today on September 20, 2016. 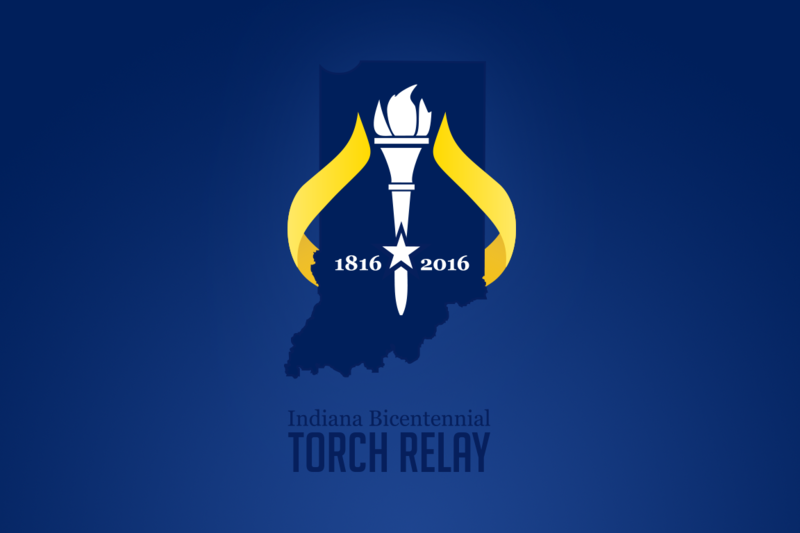 The torch will end in Monroe County, which is home to Indiana University. The United States received land in present day Brown County following the Treaty of Fort Wayne in 1809. Another treaty, St. Mary’s, gave Brown County even more land in 1818. Many settlers came from Kentucky, Tennessee, Virginia, and the Carolinas to this area. On their way to Brown County, the settlers passed through present day Monroe County. The origin of Brown County’s name comes from General Jacob Brown, who was a hero of the War of 1812 (1). The county was officially organized on April 1, 1836. As more and more settlers moved to Brown County, transportation routes were improved. By 1935, State Road 135 North from Nashville to Morgantown had been built. Shortly following, State Road 46 was hard-surfaced and travel between Brown and Monroe Counties increased dramatically (2). This quaint little county of a little over 15,000 inhabitants is home to historic Nashville, Indiana, where tourists coming to the area spend most of their time. Nashville has unique restaurants, such as the Hobnob Corner and Out of the Ordinary Hickory Sports Bar. There are also places to get sweet treats, like the Carmel Corn Cottage, which is my favorite. This sweet place has anything from freshly made popcorn dipped in caramel, marshmallows dipped in caramel and nuts, to caramel apples. Among all the shops and restaurants located in Nashville, tourists can also go and hike the trails of Brown County State Park, which was opened in 1931 following Indiana’s Centennial. Located in Brown County State Park is Abe Martin Lodge, cabins to rent, picnic areas, a swimming pool, and many trails ranging from beginner to advanced (2). One trail located in Brown County State Park is the Ten O’Clock Line Trail, which stems from the Treaty of Fort Wayne. The unique name comes from the shadow cast on September 30, 1809 at 10 o’clock in the newly acquired territory (4). This 16-mile trail is located on Weed Patch Hill, just right of the fire tower, and ends at a parking lot at the north end of Yellowwood Lake (3). Those who want to venture on this long journey should be aware that it does require some walking on roads and through private land that was used over 150 years ago. Thirteen miles west, after hiking the Ten O’clock Line Trail to Yellowwood Lake, is the next county the torch will travel to today. Monroe County is home to Morgan-Monroe State Forest, which has over 24,000 acres of land and many steep ridges and valleys (4). The forest is home to camping sites, cabins, lakes, hunting (with a valid license), and picnicking. Monroe County is named after James Monroe, the fifth President of the United States, who was in office at the time the county was formed on April 10, 1818 (1). The earliest settlers of Monroe County made a living from farming, timbering used for the furniture industry, and extracting limestone (5). Limestone mills were opened in the mid 1800s in the county in order to make use of the resources around the area, but the arrival of railroads in 1853 made the transportation of limestone more feasible around the state (5). Monroe County was home to many companies, such as RCA (radio plant), General Electric (refrigerator plant), Westinghouse (electric company), and Otis (elevator plant). The county is home to Lake Monroe and Lake Lemon, which are now recreational centers for Hoosiers to go and boat over the summer and long weekends with friends and family. Lake Monroe was created in the 1960s in order to solve a water supply problem for the county (5). Also during the 60s, Monroe County developed better roadway systems, Rural Free Delivery mail service, railroads, Bloomington Hospital, sanitary water, city sewers, and paved streets and sidewalks through town (5). Over the years Monroe County has been moving towards “high tech, entrepreneurship, nonprofit, service and governmental employment,” wrote Monroe County Health Center. Quality of life is a valued community asset in the county, which is a reason Indiana University – Bloomington was founded in that particular location in 1820. As of 2015, 42,588 students are enrolled at the university. Indiana University (IU) is one of the oldest and largest state universities in America. Making use of the resources in Monroe County, many IU buildings are constructed with limestone (5). Following the celebration of Indiana’s 200th birthday, IU will celebrate its bicentennial in 2020.